Google's response to Apple's Game Center was announced on Wednesday in the form of Google Play game services, a cross-platform series of developer tools that will support iOS as well as Android and the Web. Google Play game services are a new family of application programming interfaces the company will make available to developers today. With the APIs, developers will be able to allow gamers to pick up where they left off in a title, no matter what device they're playing on. For example, a player's progression and game state achieved while playing on an Android tablet could be synced in the cloud, allowing that player to pick up where they left off when accessing the same title on their iPhone. 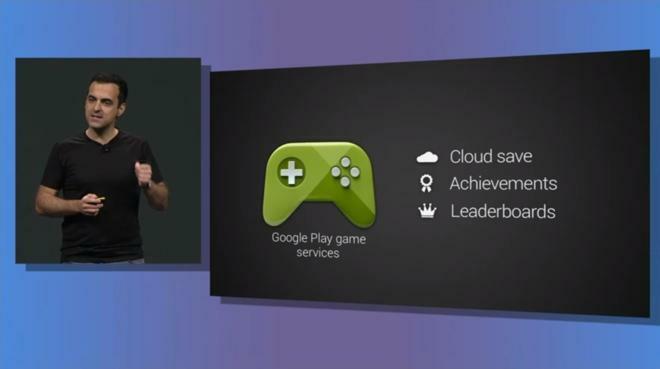 The new game services tools for Google Play include cloud saves, much like Apple's iCloud allows developers to save and sync data remotely. The APIs also offer achievements and leaderboards, much like Apple's Game Center. And Google will also integrate those features with its Google+ social networking service, giving gamers another way to compare their progress with friends. Using Google+ circles, gamers on Android, iOS and the Web will also be able to find their friends and invite them to play against one another in cross-platform online multiplayer sessions.